More than 100 young people who completed the NCS summer programme in 2018 have shown great interest in continuing their experience through the local NCS Graduate Board. On the back of a successful year in participant engagement, the board ran an assessment day, where 120 young people attended. This gave the young people the opportunity to share their knowledge and ideas on how to make the NCS programme the best it can be. Due to the amount of young people interested in volunteering, an ambassador scheme was created to run alongside the local graduate board, so that everyone would get the opportunity to be involved in different projects. Ricardo Chilton, who recently became a new member of the graduate board, commented: “I joined the board to get the full NCS experience. I’m looking forward to being able to make a difference in the community around me and learning new skills that will help me develop going forward”. 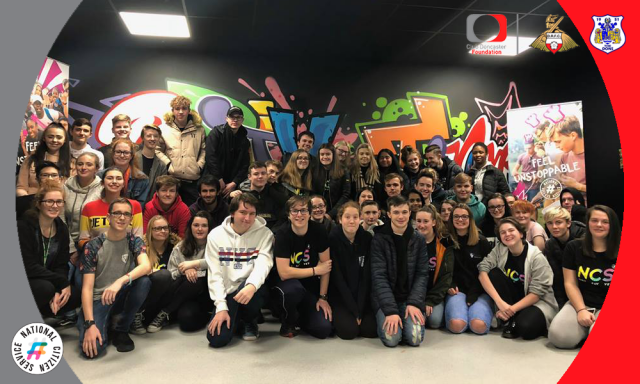 The NCS team aims to, over the next year, design and create social action projects that will have an impact and make a difference to the community of Doncaster. The graduates will have the opportunity to grow in confidence as they gain new skills such as: teamwork; independence; management and communication. The local youth board is currently looking at different volunteering opportunities that graduates will be able to take part in. At the same time, they are creating an opportunities hub page, which will hopefully allow other NCS graduates to be part of all the social action projects. If you would be interested in working with our graduates please get in contact with NCS graduate lead officer - Gabby Da Silva on gabby.dasilva@clubdoncasterfoundation.co.uk or on 01302 764663.